fashion forward. — Vanessa in Boston. Lately I’ve been curating a more elevated sense of style. 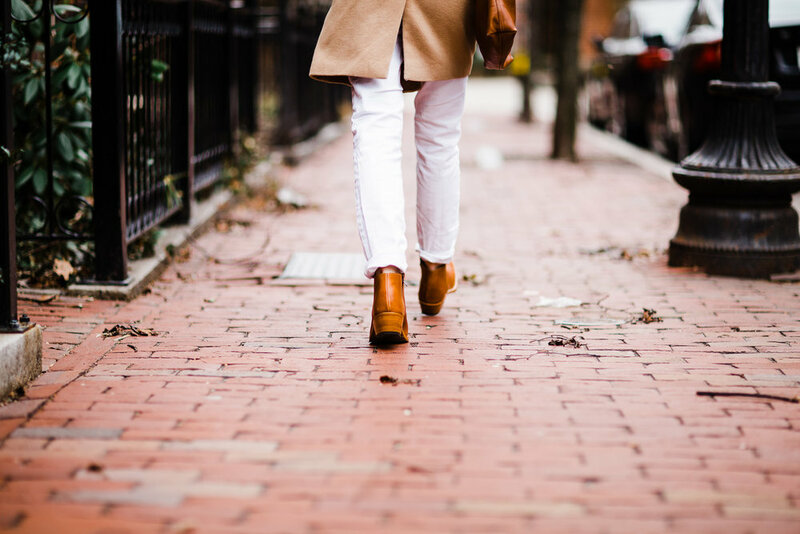 Neutrals, minimalist patterns, well-worn and easy-to-wear styles that are versatile enough for the work week or the weekend. Through my accidental journey of building a capsule wardrobe that suits my lifestyle, I’ve discovered brands and pieces that are so timeless that I might just try to hold onto them forever. Adelante Shoe Co. is such a brand. If someone were to ask me where I get inspiration for personal style, I’m sure my answer would be similar to yours; I admire the shoes of the woman standing next to me on the train, I notice the jacket of the woman in front of me at Starbucks, I appreciate the slouchy-tee-shirt-sweater-combo of the co-worker heating up their lunch with me in the cafeteria…my style inspiration is everywhere. But one of my favorite style inspiration moments came from a chance conversation with friend and fellow creative, Ali, who saw firsthand a brand in production and the story it was telling. That brand was Adelante Shoe Co..
All of Adelante’s shoes are handcrafted from start to finish by incredibly talented craftsmen in Pastores, Guatemala. The town has a longstanding tradition of shoemaking and the cobblers bring incredible attention to detail and craft to each pair of Adelantes they produce. You can learn more about the craftsmen on each product page, and will even receive updates from their workshop in Pastores as your shoes are produced! 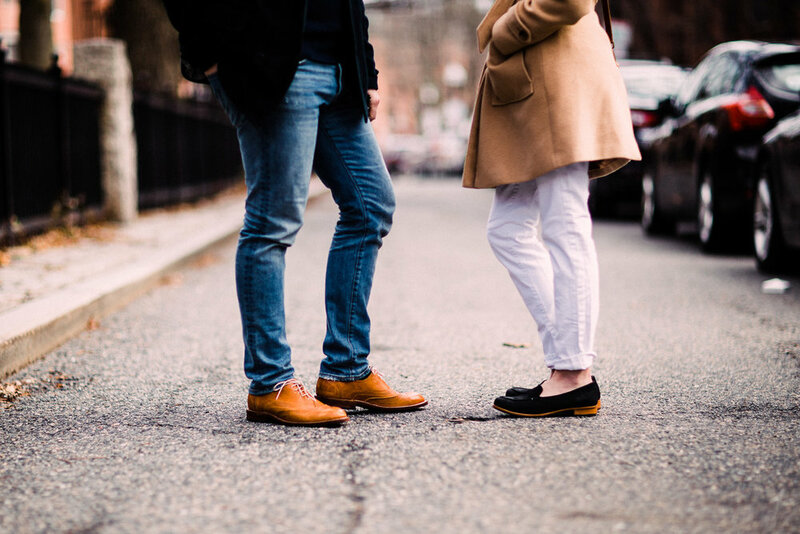 All of this is to say: Adelante is a company you can feel genuinely good about supporting while ending up with some beautiful, one-of-a-kind shoes in the process. What I love about these shoes is that they’re handcrafted, therefore making them one-of-a-kind. That aspect of individuality adds a uniquely personal and sentimental value to any product and as someone who puts a lot of sentimental value into almost all things, I find this quality very endearing. 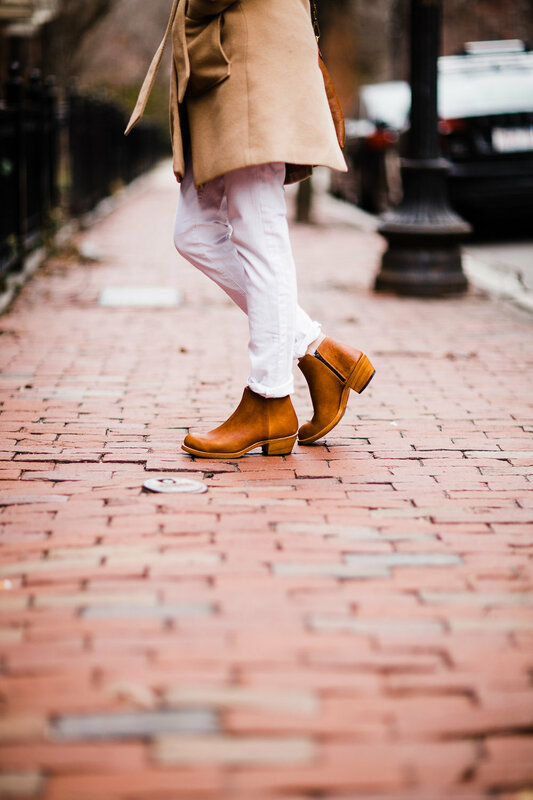 After some wear, my booties have become incredibly comfortable and their caramel tone is bright enough that it attracts attention and compliments from people every time I wear them. I can’t wait to style these boots well into the fall and on dry winter days. They’re the perfect natural-hued component and add color without being chaotic. Adelante Granada booties are green fashion in caramel brown. They are the embodiment of knowing that there’s nothing “fast” about good style until it becomes a habit and about being a more mindful buyer and appreciating each garment or product for the role it plays in the story it has from creation to production to fashion. I’m giving you $20 off your purchase when you enter the code HAPPYFALL20 at checkout. And as you can see, Adelante’s are for everyone. A quick glance at their Instagram account and you will see that Adelante is loved all over the world and by both men and women. I’m so proud to be working with a brand that delivers on great style, service and authentic storytelling which is all my brand aspires to be as well. Have you met Adelante at SoWa or on-line? What are some of your favorite fair trade or ethically made products? Tell me in the comments!